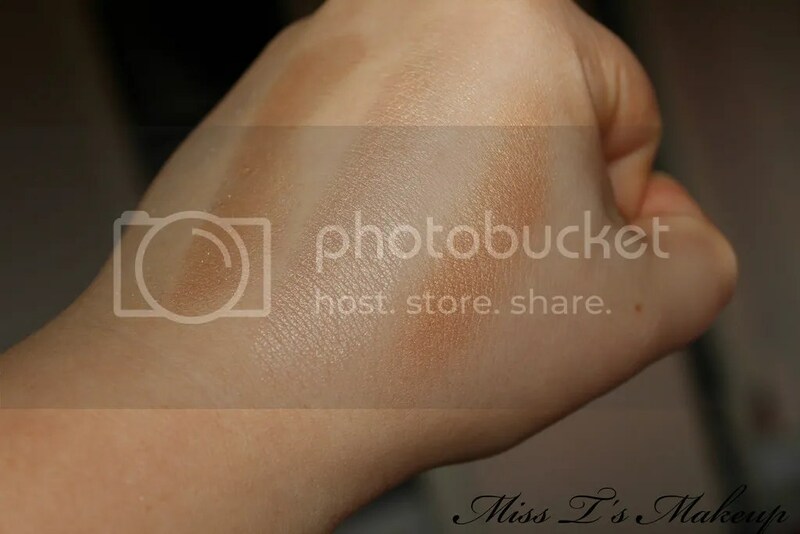 Platinum, Royal Gold and Renaissance Gold are cream highlighters and Antique Bronze is a powder. Almost too perfect to use…not! Left to Right: Platinum and Royal Gold. 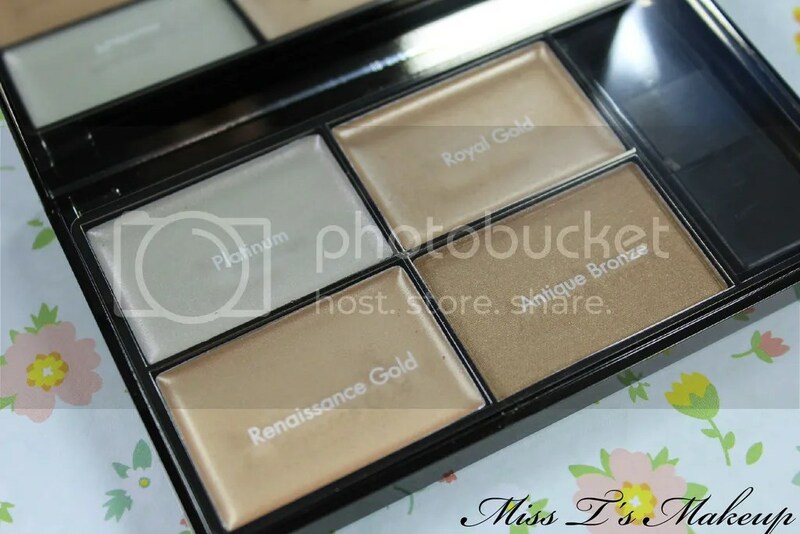 Royal Gold looks awesome and pretty in the palette, but once on my face it just looks horrid. On me it looks like I have a face full of that glitter we used to plaster our faces with before a school disco back in the late 90s XD. I think it might be the glitter in it, its just big and silver and doesn’t blend well on to my face at all. Why??? Why you gotta betray me like this?? Left to Right: Renaissance Gold and Antique Bronze. Renaissance Gold is what I had hoped Royal Gold could have been, smooth, beautiful, with just the right amount of shimmer and no big chunks of glitter. Its my fave out of all of them. Antique Bronze is first equal with Renaissance Gold for my favourite from this palette. With a gorgeous bronzey look that I never thought I could pull off and no glitter. 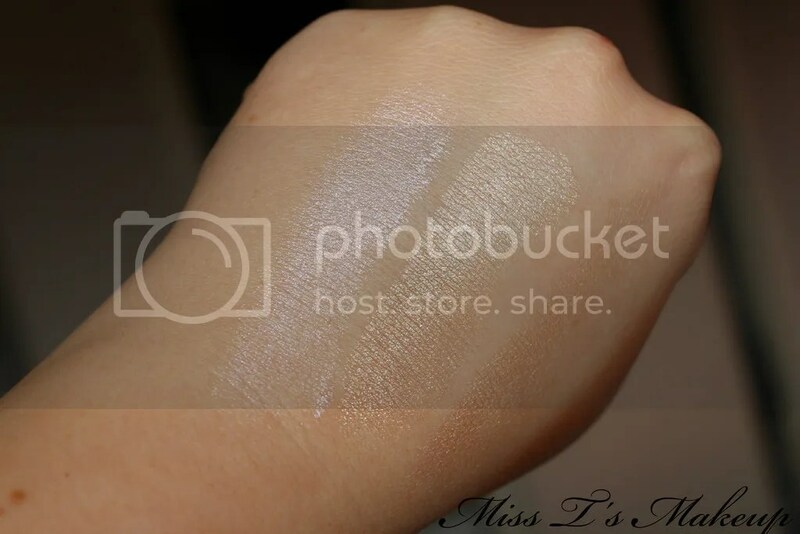 Liquid or cream highlighters have always been a bit of a pain for me to apply, but I found a great brush to apply them with and I am never looking back. Its opened up a whole new world for me. So I was a little harsh of the first two shades in this palette, but they were so beautiful untill the glitter ruined them. I just won’t wear them and that makes me sad. Despite my dislike for two of the shades the quality of the highlighters were pretty good, they lasted all day and didn’t fade and once I got the hang of cream highlighters they went on easily on top of my foundation. I am tempted by the other Sleek Highlighting Palettes, I am a little weary that their might be more over the top glittery ones though, so I will do more research before jumping in. 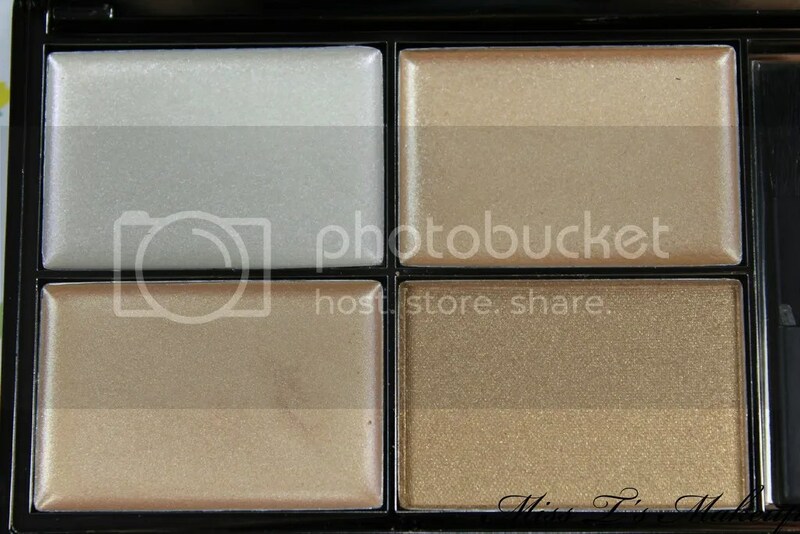 Have you tried any of the sleek Highlighting Palettes? What do you think of big glitter, glittery highlighters? Hi Sophia yea three of them are and Antique Bronze is powder. Thanks for stopping by! I’m curious about the becca champagne one. I don’t like a highlighter that’s too glittery. Just something that makes my face look dewy and healthy. I’m always a bit wary of glittery highlighters, I prefer a more subtle sheen I think.